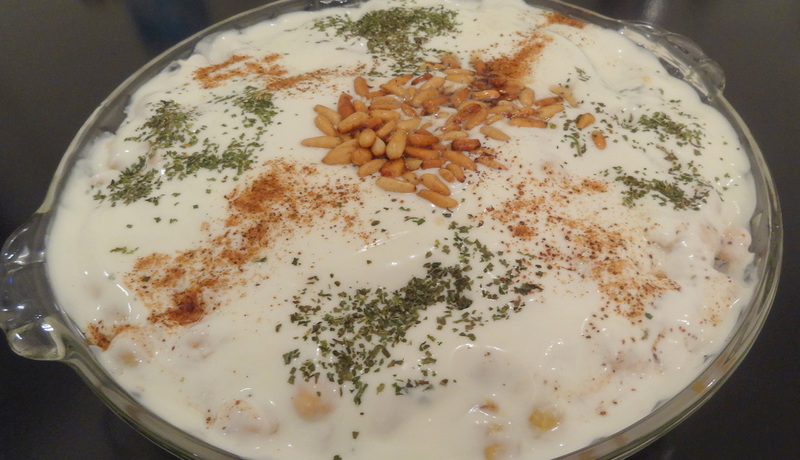 Chickpeas, Pita bread, Yogurt are the three main ingredients of Fatteh. Fatteh is a traditional Lebanese plate, it can be served either as a main dish or a side dish. My son-in-law likes it very much, then again he is a great fan of my cooking :). One time he had it with my daughter at a nice restaurant in Down Town Beirut, among some other orders. Apparently my daughter said that she preferred my Fatteh, and her husband replied :” well, let’s wait and see”. After a few days I prepared it and I had my daughter and her husband for dinner. After eating my daughter was waiting for her husband to react , and after he finishes his plate he said just one word”Yummy! This is Fatteh”.